Margie Litt sings her way down the path of recovery. Margie at Seattle Art Museum after Spring Voices Performing Arts Showcase, 2018. Margie grew up in a highly dysfunctional and abusive household. Throughout her life, her brothers were in and out of juvenile detention, jail, and prison. She struggled with homelessness, addiction, and illness and would often try to harm herself to deal with the pain of her circumstances. Her body is still trying to get rid of the anguish and hurt she experienced, but Margie has managed to stay sober for eight years and six months. According to Margie, her sobriety and recovery are due in large part to the community support from organizations like Path with Art, Recovery Café, the Matt Talbot Center, and more. 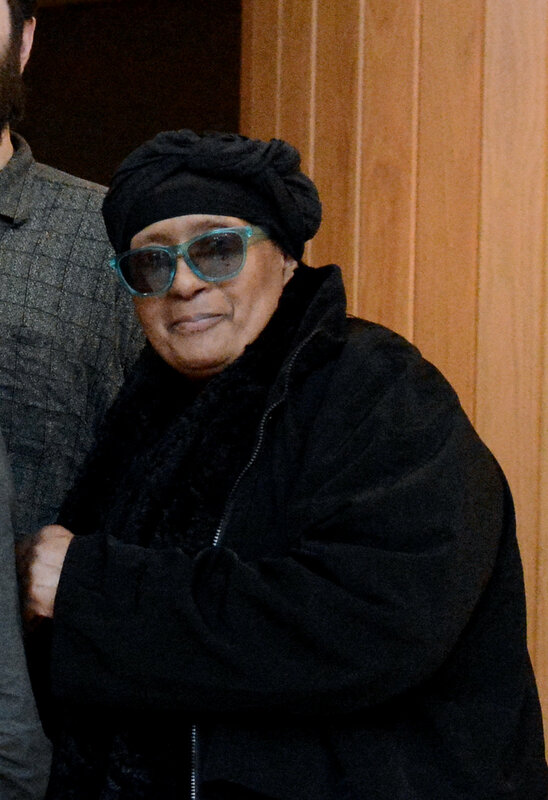 Margie grew up listening to old blues, her mother wrote classical music, and she was in and out of different gospel choirs sporadically throughout her adulthood. Though it had been a while, she returned to music, eventually joining the Path with Art Singers – the student choir that brings people together from many different walks of life – and has been a member since. Margie will take the stage again in November at Seattle Art Museum, with the rest of the Path with Art Singers, to share the gift of her voice under the direction of the new choir director, Erica Merritt. According to Margie, the most crucial factor for her is feeling like she can live again—she is now in stable housing, and has community support, a space to breathe without anxiety, and the will to carry on. She still struggles with depression, and still feels as though she is not worthwhile sometimes, but continues to sing her way down the path to recovery and dignity.